At H&K Insurance, we protect your automobile by offering a combination of broad protection that you can trust, affordable rates, and outstanding service. Our Automobile Insurance Policies offer protection for your vehicle, as well as personal injury protection, bodily injury to others, uninsured motorists, property damage, medical payments, collision, comprehensive, towing and labor, and rental car. We will also help you to better understand the coverage provided by your automobile policy. We consult with you to determine the specific policy inclusions you require, including Personal Umbrella Liability to ensure that your auto is always properly protected. Purchasing an auto insurance policy can’t be more affordable. We offer a variety of discounts for drivers new to seasoned. 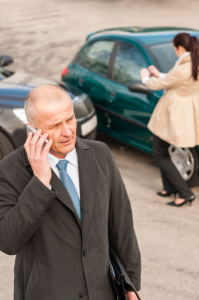 Compulsory in Massachusetts, this coverage pays for bodily injury caused to others in an automobile accident. Minimums are 20,000 per person / 40,000 per accident. Pays up to 8,000 to you or anyone you let drive your car for medical expenses, replacement services and up to 75% of lost wages. PIP also covers household members, passengers and pedestrians. Personal injury protection is compulsory in Massachusetts and operating under the influence voids this coverage. Protects you against losses caused by an uninsured automobile. Compulsory coverage minimum is $20,000 per person and $40,000 per accident. Coverage also extends to members of your immediate household and passengers. Does not include damage to your vehicle, only bodily injury. Covers bodily injury caused to you, a household member or a passenger of your vehicle when an at-fault party is underinsured via their own bodily injury to others policy. Pays for damage to another person’s property when you, a household member or another driver authorized under your policy causes an accident. This compulsory coverage has a minimum limit of $5,000. Pays for collision damage to your vehicle regardless if you are found at fault for an accident. Deductibles range from $500 to $1000. Generally, the higher the deductible, the lower your premium. Pays for damage to your vehicle not caused by an automobile. Some examples would be fire, theft, vandalism, glass or hitting an animal. Covers medical payments or funeral expenses of covered drivers and passengers after health insurance limits are exceeded. Optional add-on to your auto insurance policy. Pays for alternative transportation up to a pre-determined amount of time should your vehicle be undergoing repairs as a result of an accident. Pays for towing and labor charges up to your purchased limit. Convenient for breakdowns or running out of gas.